When your business wants to make an impact on shareholders, customers, and the public, you need to know how to make a statement. Your products and services might be top of the line, but it’s style that helps get your message across to the people you need to reach. That’s why you need to make sure every event you put together is generating the right amount of attention. How can you make sure your company steps into the spotlight and stays there? One way to represent yourself where it counts is to put together special events. 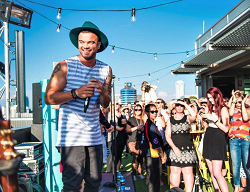 Event production in Melbourne is an often-used strategy of businesses who want to capture the city’s attention for product launches, promotions and more. However, making your event truly unforgettable may require particular skills and a deft touch. 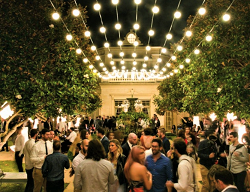 The best way to throw an especially memorable bash for your brand is to take advantage of professional event production services in Melbourne. Choosing a company with experience in lighting design, audio-visual technology, and theming can transform your corporate event into an immersive and compelling experience for attendees and the media who cover it. 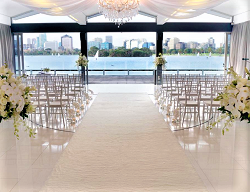 When it comes to event production, hire a Melbourne business who understands the importance of dramatic effect. You’ll quickly see how much difference a flair for the theatrical makes when you’re trying to get your stakeholders excited about your business. 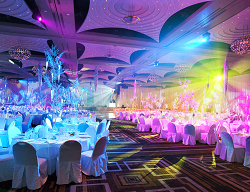 Those of you looking for corporate event production services in Melbourne have several options to choose from, but it’s important to look for certain key criteria in each company you consider. Experience is a must since you’ll achieve more impressive results with a company who is secure in their knowledge and sure of their abilities. Up-to-date methods and equipment should also be a consideration since trends change and technology evolves. Finally, you’ll want to know that the people you choose to help your business make the right impression have an undeniable charisma. Take Pro Light & Sound, for instance, an organisation with more than 25 years of experience whose state-of-the-art equipment and natural panache has helped launch products for BMW, Mercedes, and several Fortune 500 companies. Companies like Pro Light & Sound differ from other brands in that their approach is client-centric. Sophisticated technology and an eye for detail are most useful when used for a specific purpose instead of raw showmanship, so high-quality event production companies take extra time to understand the goals of each business who wants to hire their services. Attention to detail creates a tailored presentation that shows off the most important information each event is meant to communicate. The result is a higher ROI and a better experience for your guests.